I don’t know about you, but I am so excited to put 2017 behind me! Today is January 2nd, and after spending my New Years with a bunch of food (and Netflix), I think I’m finally ready to start thinking about some crafting resolutions for this brand new, shiny year. This year, I’m dreaming small. Yes, you read that correctly…small! Even though I accomplished so many things in 2017, I ended the year feeling tired and apprehensive about the future. To combat this crochet fatigue, I’ve decided to set my sights a little lower in 2018. My goal is to focus on my own mental and emotional health this year just a bit more–and if I end up having room for more projects, then that’s great! So if you, like me, found 2017 to be a little too busy or chaotic, these 5 crafting resolutions might just be the perfect fit for you. Ready to set some resolutions? Let’s do it! These 5 crafting resolutions can apply to all different types of hobbies and crafts–not just crochet! These are my personal resolutions for the new year, and I hope they can help you, too. Crafting Resolution #1: Don’t craft all the things. Again, I’m thinking small with this one. In the past, I’ve had so many grand ideas of what to make, and I always end up feeling burnt out and tired. My creativity suffers for it, and I know that I should slow down just a little bit, but I don’t. Well, I plan to change that in 2018. I will keep my eyes focused on my current projects and plan for just a few others only. At the same time though, it is important to let inspiration strike! So remember, don’t say “no” to every little idea, either. Crafting Resolution #2: Finish your WIPs. It’s a bold resolution, isn’t it? Let’s face it: we all have a bunch of works-in-progress (or WIPs) stashed away in our homes. Personally? I have about a dozen from 2017, just waiting to be finished. I don’t know what it is (JK – it’s all the ends to weave in! ), but I just have the hardest time finishing projects…and I know I’m not alone. In 2018, I’m going to try to complete every project that I start during the year. But here’s the important part of this resolution: I won’t force it if I’m just not feeling it. If the project really isn’t working, I am going to allow myself to set it aside…or even frog it. Yup. Frog it. It’s okay. The world will keep turning! Crafting Resolution #3: Try something new! This resolution is an exciting one! 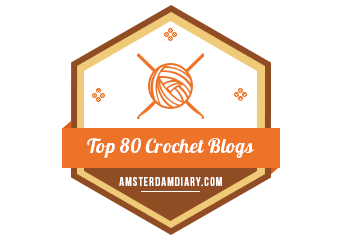 Have you been thinking about trying out filet crochet or maybe tackle a graphghan project? Then jump in and do it! It’s important as a crafter to give yourself permission to try a new type of project–heck, it can be something entirely different than what you’ve been doing! Personally, I want to learn how to do tapestry crochet. I’ve had my eye on it for months, and I think I’m about ready to begin. And hey, if it doesn’t work out, that’s okay! Remember, just because you’re not feeling it now doesn’t mean that you won’t be into it later on. Put it down and pick it up at a later date! Crafting Resolution #4: Revisit your abandoned projects. I have two graphghan projects that have been sitting in a bin in my bedroom for months (one of them has been in time out for a full year now). Enough time has passed now that I think I’m ready to revisit these projects. Picking up a WIP that you haven’t touched in a while can be a good thing, because you can approach that abandoned project with a new perspective and a fresh set of eyes. Sometimes that makes all the difference and allows you to break through whatever barriers had caused you to put the project aside in the first place. Crafting Resolution #5: Challenge yourself. This is your chance to think BIG. What sounds interesting or looks exciting? Sometimes you just have to allow yourself to toss out your self-doubt and inhibitions and just jump right on into something new. That’s perfectly okay! And it’s important to leave your comfort zone now and then to help grow your skills and inspire yourself. Personally, I’ve been wanting to knit myself a Weasley sweater for years now, but I haven’t pursued many knitting projects in the past. I had convinced myself that a project of that magnitude (in a fiber art I wasn’t well versed) scared me out of even trying it. But no more! I’ve already cast on my stitches and completed my first row. It’s slow going, but it’s so empowering to look down at my work and realize that I’m knitting a freaking sweater! That being said, it’s 100% okay to admit that your new challenge may be over your head. Feel free to say “not today, but maybe tomorrow”, and you can always revisit the project in the future. So let’s make a deal, friend. Let’s agree to make 2018 as stress free as possible. Let’s avoid crafting fatigue by taking these New Years resolutions to heart. As crafters, we often get so caught up with the need to finish a project all the time, which means we are starting projects all the time. But I hope these 5 resolutions will help you to slow down and take a moment for your mental and emotional health this year. It’s okay to pause your craft once in a while. After all, your craft is a hobby–something done for fun. And if it doesn’t bring you joy, then why keep working at it? I sincerely hope that 2018 brings you joy and good health and all the good vibes! So tell me: what are your crafty resolutions for 2018? Leave a comment and let’s discuss! This is exactly what i am planning! Last year was so crazy and over whelming, i have a blanket almost finished that i never got round to doing and a bunch of other stuff. I had so many people ordering from me as well, that i lost the heart of crochet and never got time to crochet for myself, which is what i am doing this year! But i am 100% going to finish this blanket. Easter and things doesn’t get me excited for crochet, where as winter and Christmas does so i think my mind can take a break. Good luck with your resolutions! And good luck to you as well! I totally know what you mean about the time of year–I always seem to lose my steam in July or so when it’s about 90 degrees Fahrenheit here. Too warm for yarn, I think! Oh yes!! Its like a chore trying to crochet in hot weather, you burn so many calories off though lol! My goal this year is to donate everything I make. I’ve been making a lot of things for myself lately and there are so many projects I want to attempt, but I don’t need 40+ scarves/hats! My first thought when I read #4 was that I had learned so much during the year by following videos and trying new stitches and I could now apply my new knowledge to my old abandoned projects. And also my WIPs (Resolution #2)! Finishing wip and trying something new just to mix it up is on my list. My crafty new year’s resolution is to actually follow through with my plans to make 7 blankets! So I have devised a way to put just a little bit of pressure on myself… run my first ever CAL! I confess i felt sad reading This post. 😞 I am kind of new at crochet so havent had the time to feel like that. And i signed up to my very first cal with you starting on the 5 and to hear that you are not looking foward to it is disheartning. But i wish that 2018 Will be happier for you. Happy new year! I decided to line up some small patterns like snowflake ornaments, bookmarks, & simple cowls. When I get tired, just switch to something small and quick. I’ll get the satisfaction of actually finishing a project. Finishing a project always rejuvenates me. Makes me smile. This is great advice, thank you. I used to be really good at finishing WIP’s but I have had a really complicated Kaffe Fassett jumper on my needles for a year now, so I must finish it! I have been making crochet bags and posting updates on my Facebook page once a week. It’s surprising how having a deadline, even a made up one, makes me get on and sew in those ends. Having a deadline can definitely help motivate! I try to set deadlines for all of my projects…my main problem is that I usually end up starting new projects to avoid working on the ones I “have” to do! wow your post was so spot on. i feel so overwhelmed by all the things i want/need to do and the new skills i want to try that i am going around in circles. i must focus and sort them into levels of priority to de-stress my craft time. thank you for your wise worss. I’m definitely hoping to finish off some WIPs this year, they’ve been hanging around for months now and I just want them done!